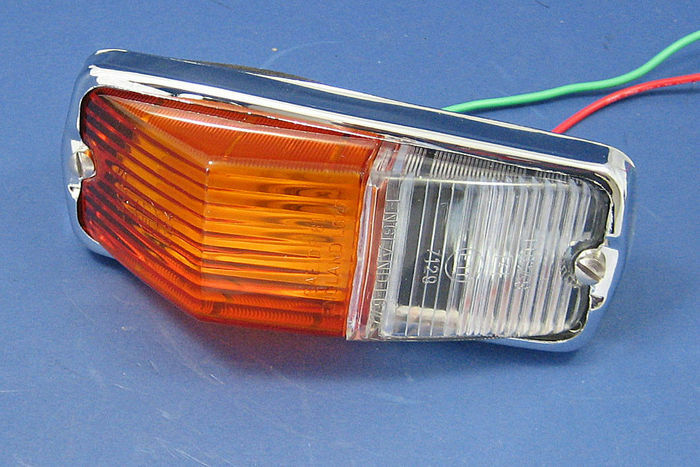 Lucas L677 combined side/indicator lamp. Fits many vehicles including MG's, Triumphs, Aston Martin etc. Supplied with 500mm leads with bullet terminals and sealing gasket. E marked. 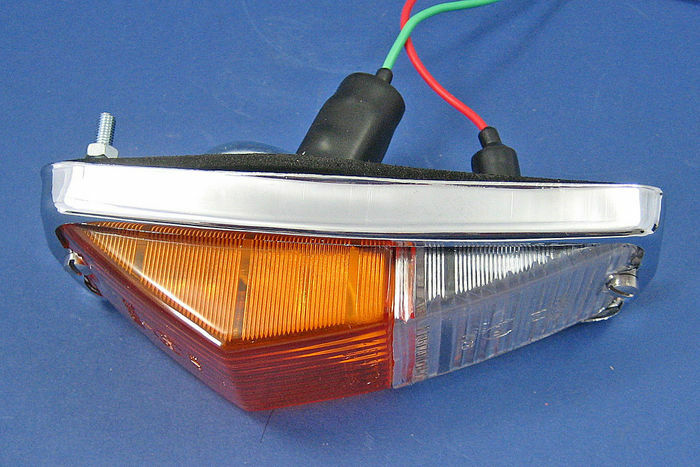 Requires bulbs. 21W BA15s indictor bulb and 4W BA9s side light bulb.